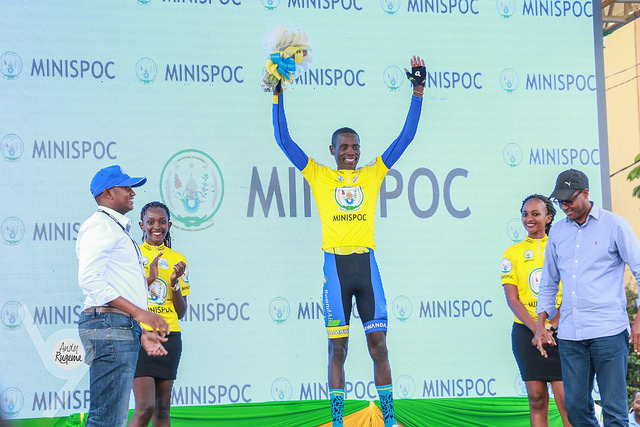 Jean Bosco Nsengimana won the prologue stage of Tour du Rwanda 2017 after riding a 3.3km stretch in 03′ 47″ 06″‘ setting a record of the shortest time in Tour du Rwanda. The winner of the 2015 tournament has broken a record set by himself when he won the prologue with in 03’52’’02″‘ in 2015. Bosco Nsengimana attributed his win to intense training and the performance of the bicycles donated by President Kagame. “They are very good bicycles, they are used by riders in Tour de France and they are very expensive. When I ride on it, I always need to valorize the money that was spent to buy it,” he said. The 3km and 300 meters race was in Kigali City. Le Court de Billet Olivier who rides for the Mauritius National Team was set to start before all other 74 riders who are competing in the tour of this year. He started at 11h00′ and used 03’ 58″ 02’’’ to arrive at the starting point. Valens Ndayisenga who won Tour du Rwanda 2014 and 2016 was the last cyclist to race. The Rwamagana-born rider who is competing for Austrian Tirol Cycling club scooped the second place of the prologue stage classification having used 03’ 48’’ 77’’’. 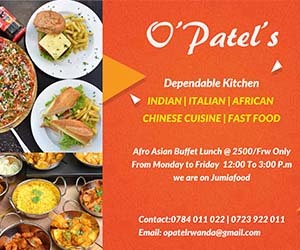 De Bod Stefana, the South African who rides for Dimension Data team emerged the third having used 03′ 53″ while Rwandese Joseph Areruya who is competing for South African Team Dimension Data for Qhubeka was the fourth on the stage classification list. Other Rwandans who made it in the top 10 on the stage classification are Patrick Byukusenge (National Team Rwanda, 03’56’’97’’’) on the 7th place, Mugisha Samuel (Team Dimension Data, 03’57’’13’’’) on the 8th place and Jean Claude Uwizeye (National Team Rwanda) who was the tenth with 03’57’’62’’’. It’s the 9th yellow jersey for Jean Bosco Nsengimana in Tour du Rwanda. However, Valens Ndayisenga is still leader with 12 Yellow jerseys. The Rwanda Cycling Federation President, Aimbale Bayingana officially launched Tour du Rwanda 2017. The race that secured Rwf500m funding is the 9th since it was internationalized in 2009. It will end on November 19th this year, riders prepared to race different parts of the country from Monday from Kigali to Huye on a distance of 120.3Km.